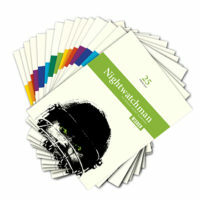 Order the 2019 Collection, a bundle of four issues (Issues 25-28) for £34.95 (+P&P). Order The 2018 Collection, a bundle of four issues (Issues 21-24) for £34.95 (+P&P). Pre-order an annual bundle of four issues (Issues 26-29) for £34.95 (excluding shipping). Order an annual bundle of four issues (Issues 24-27) for £34.95 (excluding shipping). Order an annual bundle of four issues (Issues 23-26) for £34.95 (excluding shipping). Order an annual bundle of four issues (Issues 22-25) for £34.95 (excluding shipping). 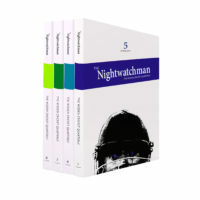 Purchase The Complete Collection of The Nightwatchman. 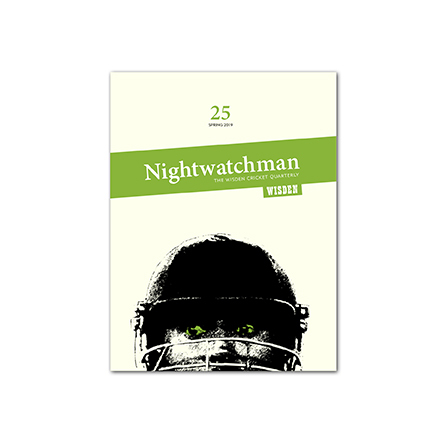 You can own Issues 1-25 of The Nightwatchman for just £180 (P&P to UK addresses included). Order The 2017 Collection, a bundle of four issues (Issues 17-20) for £34.95 (+P&P). 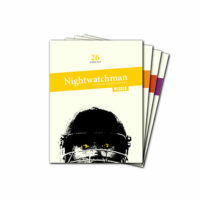 Purchase a bundle including every issue from the first 4 years of The Nightwatchman. 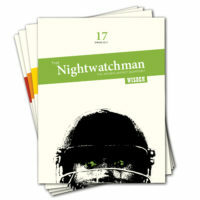 You can own Issues 1-16 of The Nightwatchman for just £110 (P&P to UK addresses included). Purchase The 2016 Collection, a bundle of four issues (Issues 13-16) for £34.95 (excluding shipping). 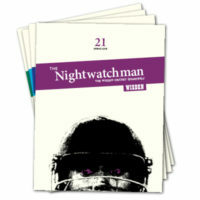 Purchase a bundle of Issues 9-12 of The Nightwatchman for just £34.95 + P&P. Purchase a bundle of Issues 5-8 of The Nightwatchman for just £34.95 + P&P. Purchase a bundle of Issues 1-4 of The Nightwatchman for just £34.95 + P&P. 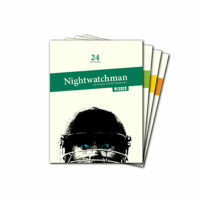 Buy a bundle of four e-book issues (starting from Issue 25) for £18. 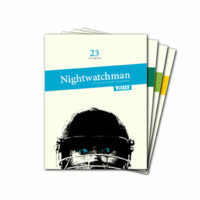 Buy a bundle of four e-book issues (starting from Issue 23) for £18. Buy a bundle of four e-book issues (starting from Issue 22) for £18. 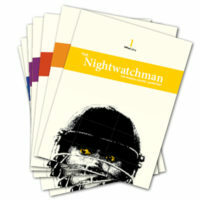 Buy a bundle of four e-book issues (starting from Issue 20) for £18. Order The 2018 Collection, a bundle of four e-book issues (starting from Issue 21) for £18. Buy The 2017 Collection, a bundle of four e-book issues (starting from Issue 17) for £18. 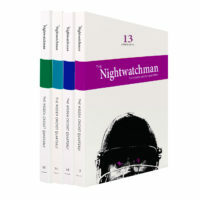 Buy a bundle of four e-book issues (starting from Issue 13) for £18. Buy a digital bundle of four e-books (Issues 9-12), for just £18. Buy a digital bundle of four e-books (Issues 5-8), for just £18. 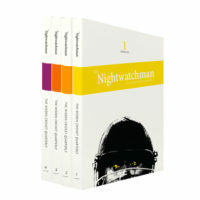 Buy a digital bundle of four e-books (Issues 1-4), for just £18.